NBRC recruitment 2018 notification has been released on official website www.nbrc.ac.in for the recruitment of 01 (one) for Research Manager vacancy. Job seekers should apply on or before 22nd January 2018. Here on this page you will get the details like the Name of vacancies released by NBRC with exact number of posts. 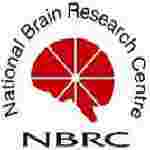 Some other criteria like Education details, application fee and way to apply application for NBRC recruitment 2018. Educational Qualification: B.E./ B. Tech (Electronics/Electrical/Computer Science). Interested and eligible aspirants should apply in prescribed application form along with bio-data, self-attested copies of certificates in support of their qualifications and experience by speed-post addressed to the Registrar, National Brain Research Centre, Nainwal Mode, Manesar – 122 051, Distt- Gurugram (Haryana) on or before 22.01.2018.